Gas cooktops provide burners for preparing food in a number of ways. Gas often costs less than electricity for cooking, making gas cooktops efficient and budget-friendly. 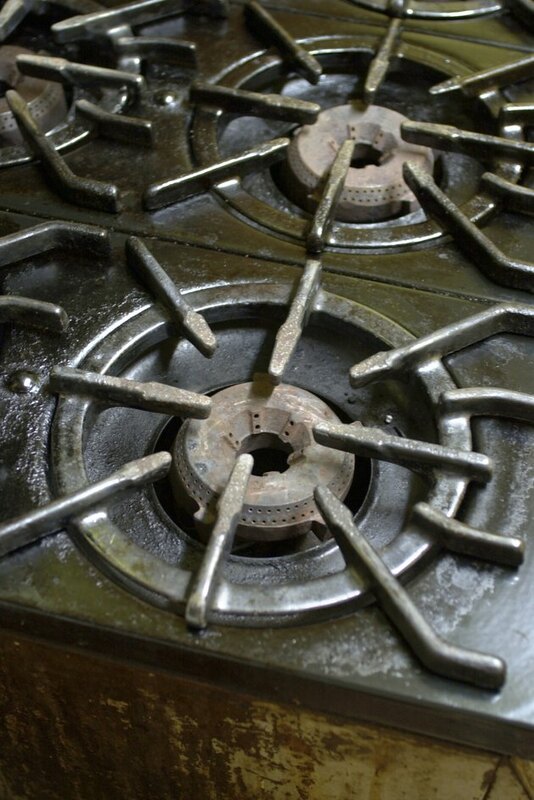 However, gas cooktops in older homes or those that weren't properly installed can develop cracks around their edges. These can let heat from an oven below escape, provide a place for bacteria and food scraps to accumulate or create an eyesore in your kitchen. As gas cooktops age, they can become dislodged in their countertop housings. Most types of household caulk are appropriate for sealing around a gas cooktop. This includes acrylic and silicone caulk, which are the two major synthetic adhesive and sealing caulk products available. Both types of products come in squeeze tubes or cartridges that fit standard caulking guns, giving you more material to work with and a controlled system for dispensing it. To apply caulk around a gas cooktop, first check if you can lift the cooktop out of the opening in the countertop or from the top of the stove that it's a part of. If you can raise the cooktop, brush out any dirt and crumbs from the space around its edge. Clean this area with a damp cloth and allow it to dry. 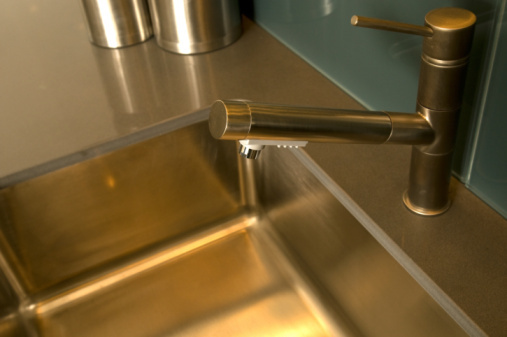 To apply the caulk, load a caulking gun or cut off the tip of the squeeze tube's applicator and apply an even bead of caulk all the way around the cooktop. Consult the directions that come with the caulk to determine the appropriate width for the caulk and the expected curing time. Acrylic and silicone caulk are the best materials for sealing around a gas cooktop for several reasons. They are highly heat resistant, which means that the open gas flames nearby won't cause them to expand, burn or dry out. In addition, they are safe for contact with food during meal preparation. Some types of silicone caulk resist the growth of mold, which is useful in a kitchen where moist air from cooking can promote mold, mildew and bacteria growth. Finally, adding caulk is less expensive and time consuming than modifying your kitchen countertop or replacing a gas cooktop. Even when sealing around a gas cooktop provides greater thermal efficiency and gives your kitchen a clean look, it can still pose a problem. Removing a gas cooktop that's held in place by a strong bead of caulk is significantly more difficult than removing a cooktop that's simply clamped in place. Some cooktop manufacturers instruct customers not to caulk around a cooktop since it prevents proper maintenance. However, if the gaps around your gas cooktop are noticeable and you can still access the cooktop from below for service, sealing around its edges is usually a good idea.